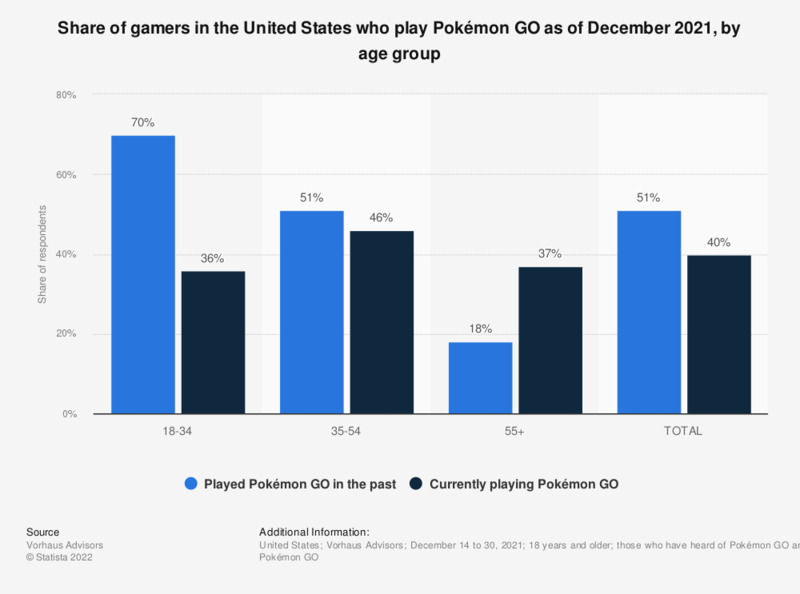 The graph shows the distribution of Pokémon GO players in the United States as of July 2016, broken down by age group. It was found that in the measured period, 46 percent of Pokémon GO users were between the ages of 18 and 29. It was measured that the popular AR mobile game had 27 million active users in the U.S. in 2017, with 10 million playing the game on iOS devices, and 17 million using it on Android mobiles. The total user count is expected to grow to 67 million in 2020. Pokémon GO made it to the top five of gaming apps in the U.S. Google Play store in February 2017, based on number of downloads.